But it wasn’t so easy convincing the Luftwaffe that the Stuka was feasible. 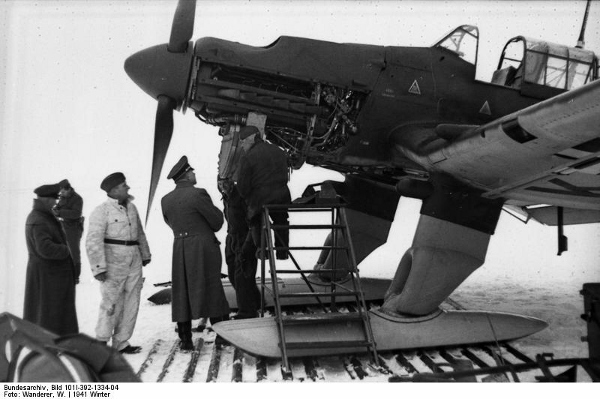 Before Udet was allowed to perform his own tests, one of the conditions for purchasing the Hawks was that Luftwaffe would perform their own test first. The dive maneuvers prove so physically exhausting that test pilots had to be physically lifted out of the cockpit after landing. The concept was rejected as being dangerous, impractical and unsuitable for military operations. Undaunted, Udet continued performing his own test, but was nearly killed during one dive when the hawk failed to respond to the controls. Udet bailed out just in time and opened his chute only yards away from the ground. 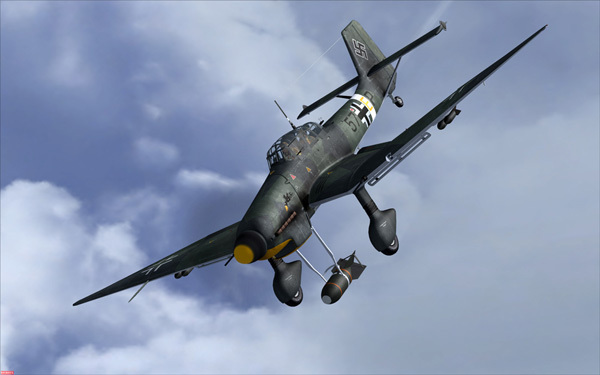 The Stuka would have to be strong enough to withstand a 350 mph (563 km/h) dive and required dive-brakes to prevent the airplane from exceeding speeds to where it could be operated safely. To meet this criteria, the Stuka would incorporate an interesting feature which consisted of automatic pull-up dive-brakes that leveled the plane out if the pilots blacked out during dive maneuvers. Experience showed that about half of the pilots would black out when pulling five Gs to recover. In April 1935, the firms of Arado, Blöhm und Voss, Heinkel, and Junkers were requested to begin work on dive-bomber prototypes, but Junkers had the advantage with earlier Swedish-built K-47 and K-48 models that had already proven successful in vertical dive tests.3 With these models to build on, the prototype Ju 87 V1 was built in just a few months and production models began arriving in 1937. The Stuka remained the only dedicated land dive-bomber during the war, but it was a slow cumbersome airplane with poor defensive capabilities, that would haunt the German command. Despite its faults, Stukas were still devastating in Yugoslavia, Greece, North Africa and the Caucasus, when not opposed by Allied fighters. They were also flown by the Regia Aeronautica and it was nicknamed picchiatelli (little woodpecker). 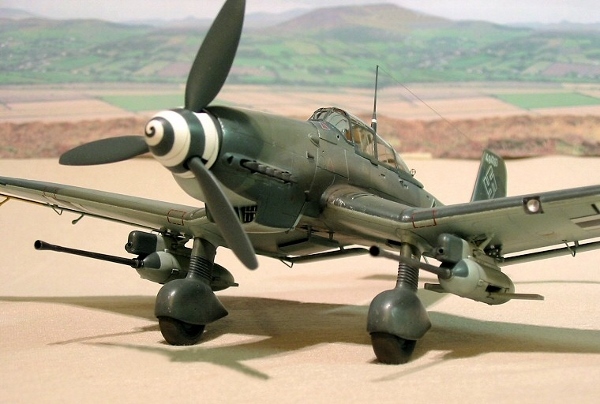 The Stuka has often been confused with the Breda 201, which was an Italian built single-seat dive-bomber. While the 201 does bear some resemblance with a less pronounced gull-wing, it differed in all other respects. 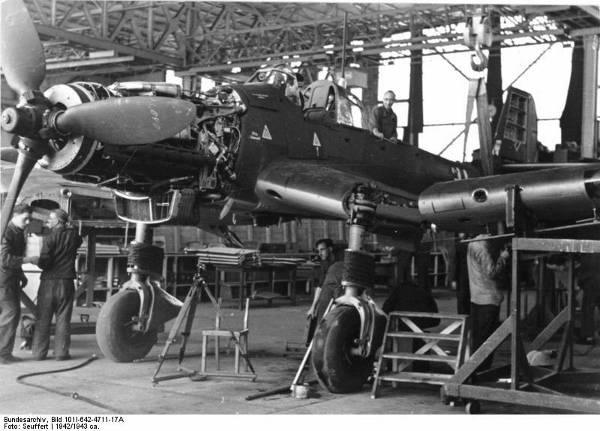 All Ju 87s that served with the Regia Aeronautica were built in Germany.7 Other users were the Royal Romanian Air Force and Bulgarian Air Force. 3. J. Richard Smith. Aircraft in Profile, Volume 4, The Junkers Ju 87A & B. Garden City, New York: Doubleday & Company, Inc., 1968. 3. 4. John Weal. 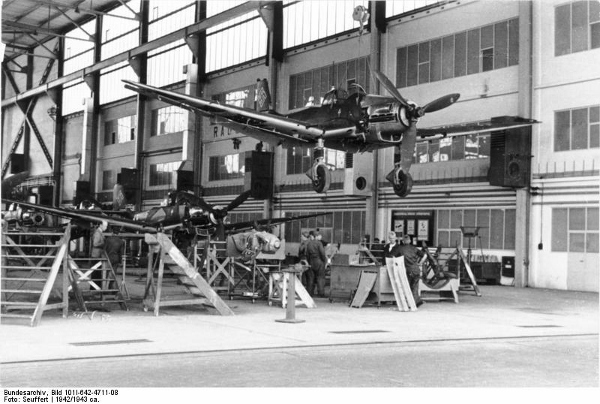 Junkers Ju 87 Stukageschwader. Oxford: Osprey Publishing, 1997. 1937-41. 19.